Amsterdam. The myth, the legend. The famed Dutch city has been popular with tourists from all across the world for a variety of very good reasons! But, there is so much more to Amsterdam than simply those cafes, and the red light district. This is actually an incredibly beautiful and cultural city and one that you need to become fully immersed in if you’re going to get the most out of it. Appreciate and experience the opportunities and experiences that both the day and nightlife of the city will provide you with. That means you need to make sure you fully immerse yourself in Amsterdam and make the most of your time there. If you’re planning a vacay to Amsterdam, you need to know how to make the most of the first 24-hours. So, this is our guide to having a great time in this magical city. There are a lot of different places you can stay when you’re in Amsterdam, but the best places are those that are well located and affordable. One of the best choices we recommend you check out is the Dylan Hotel which sits on the edge of The Nine Streets. This shopping quarter is ideal for a spot of retail therapy, not to mention the fact that there are plenty of bars and restaurants as well. You’re also just a 10-15 minute walk from the museums and the cultural center of the city. It’s not the cheapest option in Amsterdam, but it’s definitely one of the best. Between Michelin star eateries, quaint cafes, and traditional Dutch restaurants, there is a lot of great choice for food in Amsterdam. Over the years the food scene here has come on leaps and bounds, and there is so much quality food, and a wide variety as well. There are a lot of different places you could try, but we picked out Bord’Eau as a personal favorite. Make sure you keep in mind that the Dutch tend to have dinner reasonably early, and most restaurants close around 10pm. Factor this in when you choose to book a place – you don’t want to miss out! 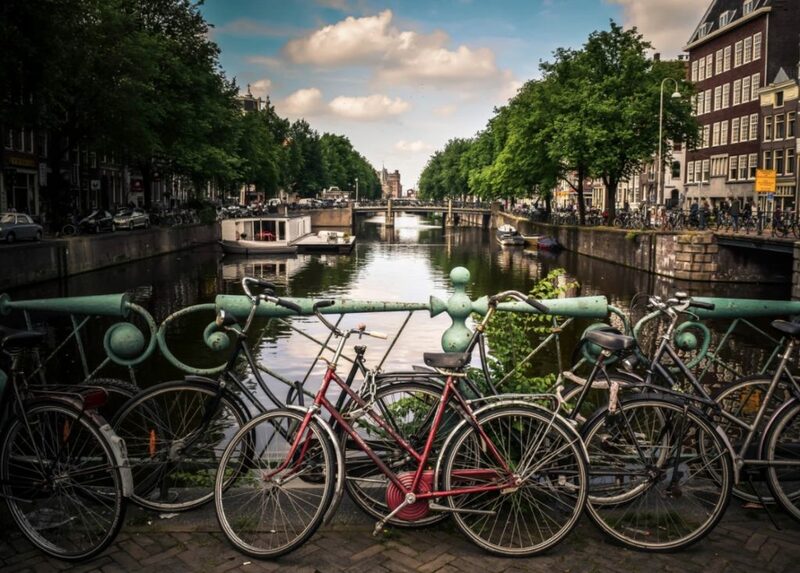 You will have plenty to see while you’re in Amsterdam, but, you want to do the important stuff in the first 24-hours. Start with a trip to Anne Frank’s House, and learn about the little girl who hid from the Nazis while writing a diary, and became an important figure in history. If you book online, you will know the timeslot you’re booking, and it won’t cost a lot. Then you should head to Museum Square for a dose of proper Dutch culture, and some wonderful sightseeing experiences. Not only do you have all the wonderful culture to experience here, but there is also great beauty and stunning nature in the city as well. Don’t believe us? Head for Albert Cuyp Market, and browse while enjoying the spectacular views. Follow the canal along, and head over the bridge, and gaze along the winding waterways. If you come in the spring, you’ll see the colorful flowers in bloom, adding further appeal to the stunning views. 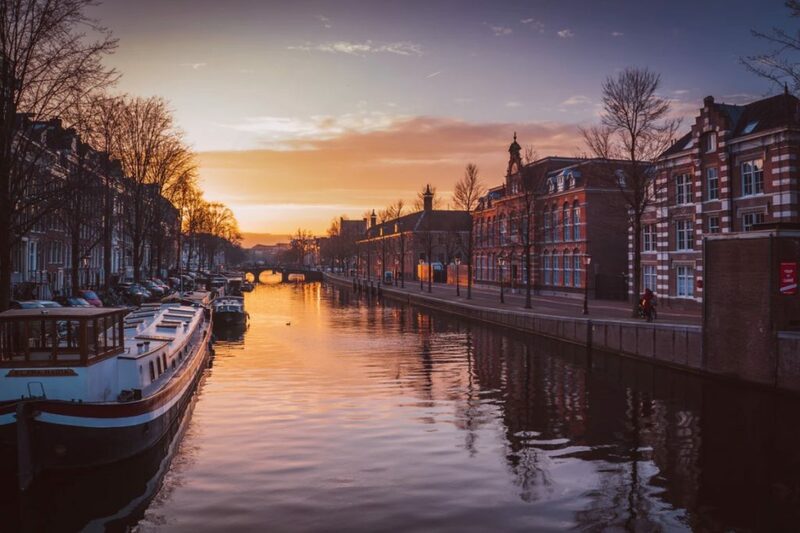 24-Hours in Amsterdam will give you the perfect chance to get a feel for this amazing city. There is so much to do and experience here, that you’re not going to be able to fit it all into one day. But, there is plenty in that first period that will really give you a taster of what Amsterdam has to offer.